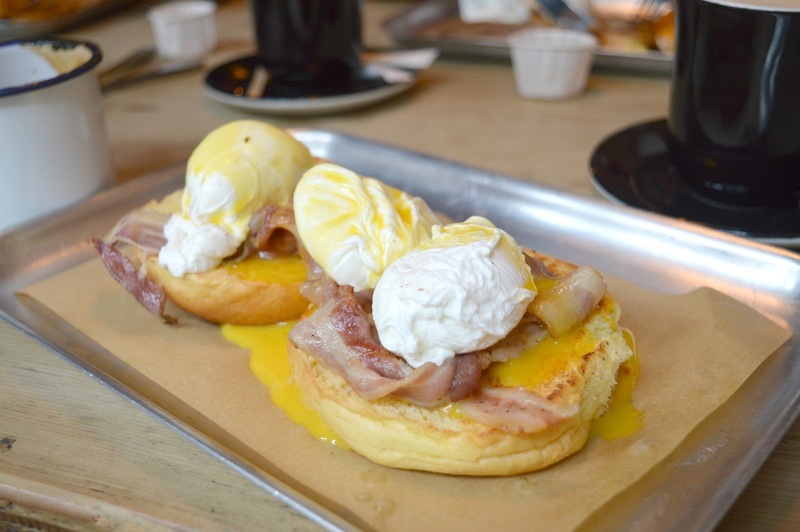 I've been wanting to try breakfast at Longhorns in Newcastle ever since they first introduced the menu and recently my dreams finally came true! Entertaining our friends Rachel and Rich who had travelled up from Yorkshire to visit, we were keen to pick somewhere awesome to show off how great the foodie scene in Newcastle is. Breakfast at Longhorns seemed like the perfect way to start the day. 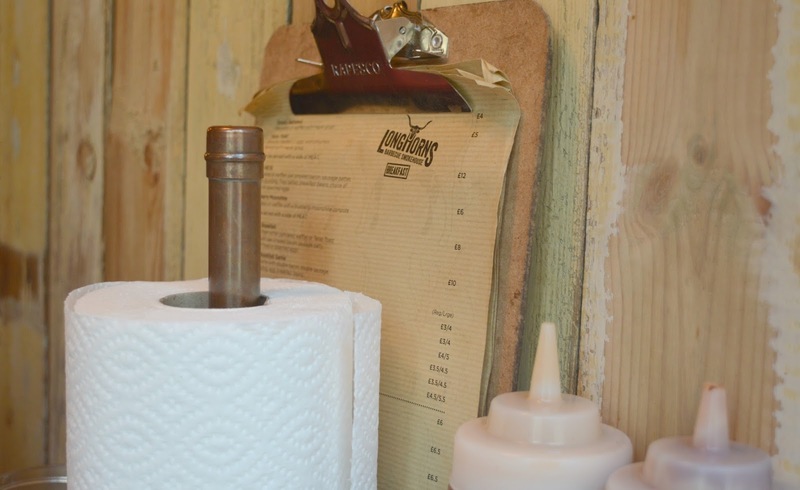 Longhorns is the kind of place where kitchen roll is definitely required. There's loads of meat and a tonne of sauce and inevitably a lot of it will end up covering your fingers and running down your chin. The breakfast menu at Longhorns is one of the best I have ever seen. Packed full with waffles, pancakes, sandwiches and eggs I knew immediately I'd be needing to return to start making my way through the entire menu. I literally want to try everything. 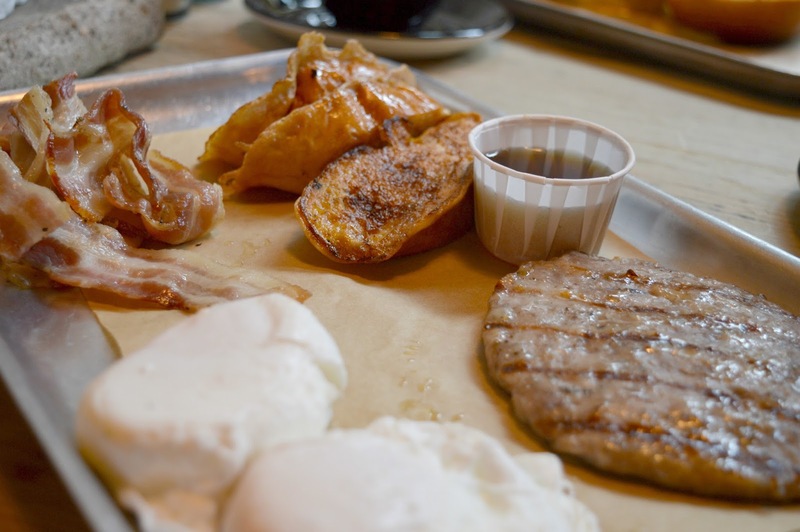 The boys both ordered the 2 Meat Breakfast - a choice of either pancakes, waffles or Texas Toast served with oak baked bacon, sausage patty and fried or poached egg. I have to admit i was a little disappointed by the presentation of Simon's breakfast. For me there are a few factors that get me excited about food - and the look and smell of a dish can be just as important as the taste. When the 2 Meat Breakfast turned up the presentation reminded me a little of, dare I say it, a McDonalds Breakfast. Maybe it was the tray it was served on, or maybe it was the little McDonald's style container that the syrup was in? The presentation of my breakfast was far superior and got a big hearty thumbs up from me! 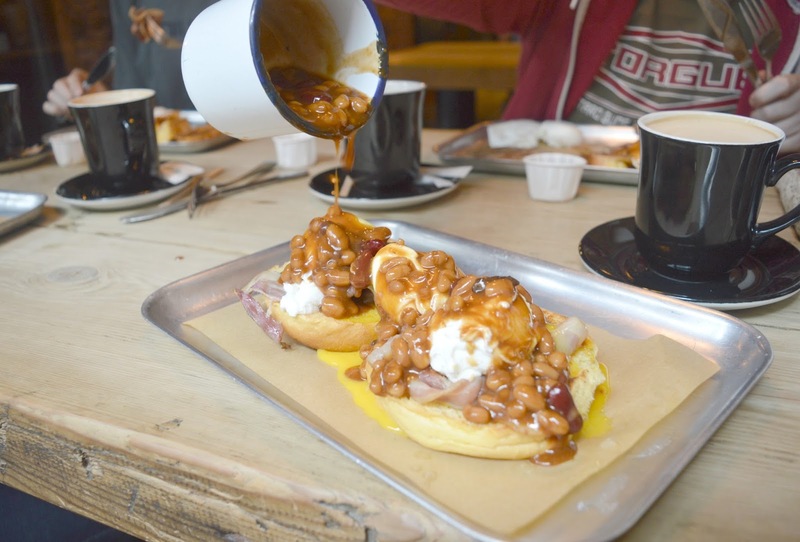 I went for the Pit Bean Benedict - poached egg with oak smoked bacon, on a toasted muffin topped with Pit Beans. After a muddle in the kitchen I found myself with a pot of Pit Beans on the site but I was more than happy as it meant I got to do this. There's something very satisfying about pouring something all over your food like that. I did wonder if it may have looked a little more artistic if the kitchen had done it, but I was pretty proud of my big mountain of food once I'd tipped the entire bowl of pit beans over it. I can't even explain to you how good my breakfast was (which is a little ridiculous considering how many food reviews I do on this blog). 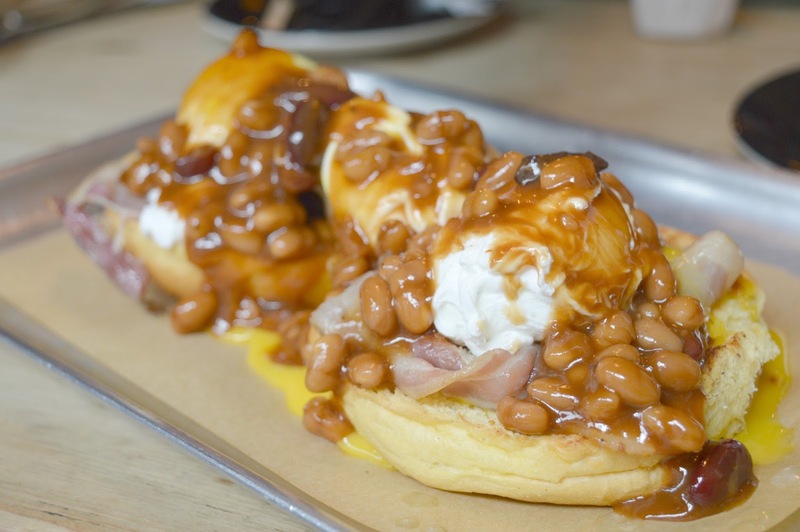 I am a huge fan of Eggs Benedict, but the addition of pit beans just pushed it up to another level. It was absolute heaven, and my only complaint was that I was left with such a gorgeous saucy mess of yolk and bean juice at the end and could have done with something to mop it up with. I hated having to leave something so good but thought it would perhaps be a little gross to clean it all up with my fingers when out in public. As you all know I'm a big fan of restaurants using local produce and I was thrilled to see that Pumphrey's Coffee was on the menu. We all ordered ourselves lattes and had a lovely time chatting whilst enjoying our delicious coffees. I admit we stayed there a little longer than we probably should have done but as there were plenty of tables free the lovely folks at Longhorns were more than happy to let us be which we all really appreciated. Breakfast at Longhorns was fantastic and we left kicking ourselves that we hadn't tried it sooner. We will definitely be back, the Blueberry Moonshine has my name written all over it. Anyone else been to Longhorns for breakfast? 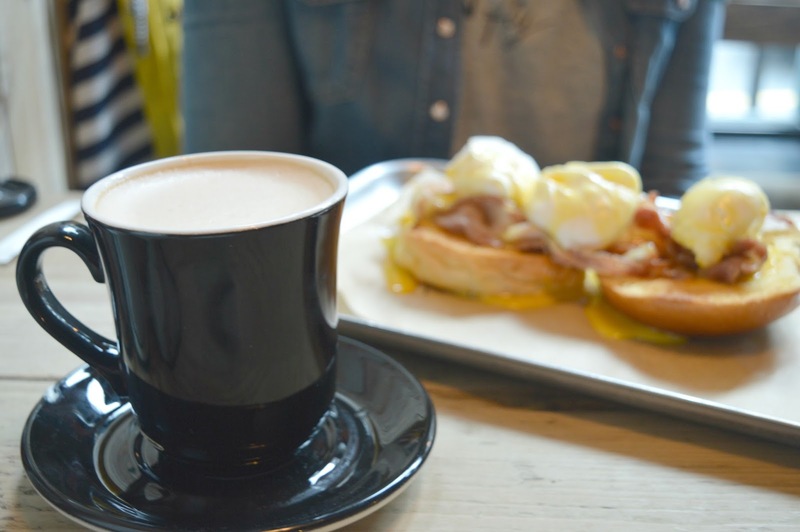 Let me know your favourite places in the Toon to enjoy some good morning scran. Hadn't considered it for breakfast but will now. Yaaaay your post is up! I love that I got to see the behind the scenes of it, and I think your photography definitely beats mine. It was so good, I already knew the Newcastle food scene was strong, but this definitely confirmed it. Right, where are we going next time? PS - This post isn't showing up on your bloglovin for some weird reason?